The capital of medieval Russia from the twelfth century, the Communist symbol of the Soviet state, the centre of the New Russia, Moscow is the very essence of its country. Patriarshy Dom Tours, a Russian - American Cultural Center in Moscow, is operating as a full service travel agency, consistently enlarging the number of services offered, as well as developing Russian / English language tutoring school. "It is often difficult to organize things in Moscow, especially at such short notice. You made it seem effortless. It was a real pleasure dealing with you. Everything was superbly organized and all efforts were obviously made to increase our enjoyment. You have never disappointed us and we all appreciate your work... we look forward to dealing with you again... and again... and again!" The first company which organizes tours to explore Moscow sights and its Underground on regular daily and weekly basis. Regardless of the weather, we are always at your service! We would like to invite all our clients to support our action and Help kids! If you are able to donate some small items such as a toy, clothing, shoes or kitchen utensils? If you leave it at our office, we will send it to an orphanage, soup kitchen, school or hospital. We appreciate the assistance of the International Women's Club: the charity committee of IWC kindly agreed to assist us in this effort. As the capital of medieval Russia, the Communist symbol of the Soviet state, the centre of the New Russia, Moscow is the very essence of its country. Moscow is a huge city in every sense – as a soviet architectural utopia turned into reality and as one of the biggest cities in the world. Its size raises just one question - how elastic is the material Moscow is made of, i.e. how much bigger can it grow? The city was designed in concentric circles around the ancient Kremlin, with streets and boulevards stretching from the center. As in a labyrinth, no matter where you choose to go you will finally find yourself in the Red Square at the Kremlin wall. Once there you will end up having the chance to see the most amazing museums of the Kremlin. Once you successfully fight the gravitational force of the Kremlin, you might find yourself wandering through the streets defined by Stalinist skyscrapers. Admiring the scale of avenues as you venture through the city, as well as the quiet small streets and lanes, you might enjoy the peculiar mix of medieval monasteries and churches, classicist buildings, art nouveau residences, soviet houses and modern constructions. Descending into the Moscow Metro, you will be attracted to the luxurious and eclectic Stalinist decor and sculptures from the 1930-1950s. The Metro is the greatest pride of Moscow and the most striking monuments of the Soviet epoch. It is also the best way to travel around the city. Above ground, Moscow compels its visitors the opportunity to experience the centuries-old parks, vast and picturesque green areas inside the city, such as; Tsaritsyno, Kolomenskoye, Izmailovo, once the residences of Tsars and nobles. While enjoying the historical sites, do not forget the modern life. The burst of energy and growth is evident in all aspects of arts and culture here. Former factories have been converted into first-class art galleries and restaurants; former estates become the grounds for musical and performing arts. Private tours are there to let you see everything you want any time you need. Whatever and whenever you would like to explore, our knowledgeable guides will be happy to assist you. Let us know what you would like to see by calling or writing to us. Special tours to the Great Kremlin palace! Please, enjoy the unique chance to go to the Great Kremlin Palace without a long-term pre-booking! Special rates for the groups of up to 5 people! Please, join! Regardless of how many times you visited the Great Kremlin Palace, you are guaranteed to find something new. Its spacious halls... bear marks of the beauty of the past and the greatness of the present! The place where the historic decisions were taken could be opened today exclusively for you. Our company can make the tour arrangements easier and faster! The Palace is not a public museum but is now the official residence of the President of Russia. It was also formerly the only residence of the Romanov family in Moscow. The interior has been preserved as it was in the times of the Czars. The small city in the center of Moscow, once the residence of Czars and Patriarchs, contains Russia's main cathedrals, Assumption Cathedral, Archangel's Cathedral and Resurrection Cathedral. The Patriarch's Palace is a Museum of Seventeenth-century Life and Applied Art, displaying ecclesiastical regalia, period furniture..., gold and silver ware from Russia and Western Europe. The palace was begun in 1640 and it incorporates the Church of the Twelve Apostles, which was the private place of worship for the patriarchs. It is a charming place, rich in the spirit of the past, hidden behind a wall in the twentieth century inner city. The sculptured gravestones of famous Russian artists, writers, and politicians illustrate the country’s history. The Moscow Metro is the city attraction, an art gallery, a bomb shelter and of course the easiest and most reliable way to get around the city in most directions, even far from the downtown. Radial lines are joined together by a brown circular line. Each line has its own name, colour and number on the metro map. The first plans... for a metro system in Moscow date back in the times of the Russian Empire, but they were postponed due to the World War I, the Revolution and the Russian Civil War. It was not until 1930s when the first section of Moscow Metro was opened. The first underground railway system in Soviet Union. An impressive project of Stalin period usually called the Palace for the People. The Moscow Metro was designed not just to carry people but mainly to showcase the achievements and possibilities of socialism. The most celebrated artists decorated its stations throughout several epochs. The largest gallery of Russian fine art in the world, it is located in the old part of Moscow-Zamoskvorechye to the south of Kremlin. The collection contains more than 150 000 examples of paintings, sculpture and graphics charting the development of Russian art from the 10th to the end of the 19th century, from icons, representing... different Russian schools of icon painting including masterpieces of Andrei Rublev, through various artistic trends to Itinerants and others, such as Kramskoi, Perov, Shishkin, Repin, Surikov, Vasnetsov etc.. The Gallery was founded in 1856 by two Tretyakov brothers, famous Russian merchants and art patrons. They blend their collections together and created the museum open to public free of charge. Later in 1892 they presented the collection to the city of Moscow. The Gallery is situated in one of the brothers’ estate built in 17-18th century. After Tretyakov’s death in 1898 the building was reconstructed with addition of the peculiar Russian fairy-tale style facade, designed by the painter Viktor Vasnetsov, which has become the emblem of the gallery. Opening hours: Daily - 10:00 to 19:00, except Mondays. The museum displays archival documents, photographs and artifacts which narrate the history of repression in the Soviet Union beginning with the 1917 October Revolution. The permanent exhibition also chronicles the history of those movements who struggled for freedom of expression and speech during the post-Stalin years. The museum also houses an exhibition hall for temporary exhibits such as "The Repressed Artist Series" which holds the museum's growing collection of paintings and sketches by artists. Currently, there is an exhibition of paintings by children subject to the atrocities of the on-going Chechen war. This is a great opportunity to taste these famous Russian chocolates! You will have an opportunity to visit this famous chocolate factory. On the tour you will see the production process for chocolate and caramel. You will also be able to trace the history of this company through the years with a visit to the factory museum. You will get a nice chocolate gift at the end of the tour! Visit to the Chekhov Museum in the small city house where Anton Chekhov started his career as doctor and writer. Feel his presence among the pictures and artifacts in this typical 1880’s Moscow home. The magnificent five-golden-domed Cathedral is the largest church in Russia, the second of its kind. The first, built to commemorate the victory over Napoleon in 1812, was destroyed in 1931. It was officially reopened for the millennium and consecrated as a “glorious symbol” of Russia and Russian Orthodox Christianity. This unique collection traces the rise of the Russian space program from 1957 to the present time, including manned and automatic spacecrafts, space suits and other related items. A visit to the Danilov monastery, now the official seat of the Russian orthodox church, and residence of the Patriarch, who plays an active part in modern politics. This is a large collection of crafts from different areas. There are peasant and other costumes, toys, Zhostovo painted trays, Khokhloma and other wood articles, porcelain, including propaganda porcelain from the twenties and thirties. The cathedral, with interesting frescoes, was built in honor of an icon of Our Lady of Don. See the grounds and cemetery, founded in 1591. Gorky Leninsky is the last place where Vladimir Lenin lived and died. The estate is very interesting as one of Shekhtel’sArt Nouveau designs, and now that most of the Lenin museums have been closed this remains the only one where you will meet this important man. One of the best Art Nouveau houses in Moscow built at the turn of the century. Maxim Gorky lived there between 1931 and 1936 and it is now a literary museum dedicated to his work. Don’t miss an opportunity to visit the Great Kremlin Palace and the five large halls used for state receptions. The Palace is not a public museum but is now the official residence of the President of Russia. It was also formerly the only residence of the Romanov family in Moscow. The interior has been preserved as it was in the times of the Czars. Walk in a wonderful park among the remains of the seventeenth century Izmailovo Estate Its fortress is where Peter the Great trained his first regular troops. Visit the oldest vodka factory in Moscow. See a good example of nineteenth century industrial architecture; follow the various stages of vodka production, and after the tour try samples! The country seat of the Sheremetyevs, the richest family of the eighteenth century. The wooden mansion resembles Versailles and it has an orangery in which is an impressive collection of china and porcelain from the eighteenth, nineteenth and twentieth centuries. There is an extensive park with a lake, and Dutch, Swiss and Italian style garden houses. A unique oasis in the center of Moscow, and the summer residence of the Czars since the time of Ivan the Terrible. Its church, built in 1530, was once called the Eighth Wonder of the World, and the oak trees are at least as old as everything else in the park. You will see the house of Peter the Great and will visit the folk art museum and the museum of wooden architecture with its samples of houses from northern Russia. One of the unique military museums in the world, consisting of seven pavilions exhibiting armored vehicles from the early twenties to modern times. The first Soviet tanks and a history of Second World War Soviet armored vehicles are displayed, as well as samples of foreign armor. As the museum is on an active military base, the list of names in the group must be submitted to the museum for clearance. Tour the eighteenth century Lefortovo estate, a formerly German enclave. We will visit the church where the Romanovs liked to pray before they went hunting in Izmailovo, as well as Franz Lefort Palace and one of the Moscow palaces of Catherine the Great. You will trace the history of Russian aviation, seeing many different types of aircraft. The display includes models of the very earliest machines and even some of the latest ones. A lot of them are full size, located outside, and so present a good photographic opportunity. The Museum of oriental art has a fascinating collection of Far Eastern, Indian and Russian works, including rugs from the Caucasus, shadow puppets from Indonesia and Chinese screens. Works of the Rerichs, father and son, show Russia’s influence on Indian art. The museum contains a remarkable collection, including works from the Italian Renaissance and post-Renaissance, ancient Egypt and Babylonia. You will have a chance to see the facilities and the museum of this architectural masterpiece, Russia’s leading educational institution. The museum was first opened in 1883, and after extensive restoration was re-opened for the 850th Moscow anniversary. The interiors are done in a nineteenth century style. There are exhibits of archeology from prehistoric days up to the founding of the Russian State. The one called, “ Russia of the Nineteenth and Twentieth centuries” displays possessions of the Czars, and includes the death mask of Peter the Great. The museum has exhibits showing the history of the city, from its foundation 860 years ago to the present day, with many fascinating artifacts, old prints and photographs. Visit the Spaso-Andronnikov monastery, and the oldest of Moscow’s surviving churches, Savior Cathedral. Its museum records it as one of the earliest centers of iconography, and it was the site of the icon school of Andrei Rublyov. In addition to the one we know as the “Russian Revolution” there have been two others in recent memory. This museum has a unique collection of documents, pictures and photographs which depict the history of the country from the Russian Monarchy in the nineteenth century, through the Soviet era, up to the period of Perestroika. You will see exhibits showing the development of the Russian Army from the days of the Civil War through the years of the Great Patriotic War, and up to the present times. There are halls, illustrating the major battles in Moscow, Leningrad and Stalingrad, as well as many interesting examples of military equipment such as machine gunes and personnel carriers. You will also see the eagle from the Berlin Reichstag, the Victory Banner and other memorable items recalling those heroic times. A half-ruined gem of XVI-XVII century architecture. This former center of religion and the arts is in the process of renovation after decades of neglect. In the Church of the Nativity see graves of Russian heroes of the 1380 battle of Kulikovo field, the first time the Tartars were defeated. You will visit the formerly secret Space Center, where the cosmonauts live and are trained. You will see examples of Russian space technology, prototypes of spacecraft, the space-simulators, centrifuges, and space suites, as well as the altitude chamber. As the capital of the Russian Empire, St. Petersburg was built according to ingenious town planning design by a team of Western architects. Its unsurpassed perfection rivals Venice and Paris, and validates the existence of Russia. Founded by Peter the Great in 1703, St. Petersburg was the capital of the Russian Empire for more than two hundred years. The need to turn an old-fashioned country on the periphery of Europe into the center of European politics resulted in a sensational new capital built on the swamps. St. Petersburg later became the home of great writers like Pushkin, Gogol, and Dostoevsky, and the embodiment of the Golden Age of Russian art. The combination of baroque and neoclassical architecture, the unspoiled buildings standing along the banks of innumerable canals; the canals, the bridges, the Neva River, the Needle of the Admiralty, the Winter Palace and many other landmarks strike its visitors. St. Petersburg has a proper look for a perfect capital. Stroll along the Nevsky prospect and small back streets, and visit the fortress of Peter and Paul, the St.Isaac cathedral, the Church on Spilt Blood - the trademarks of St.Petersburg. Take a boat ride and experience the city views from the water. Spend the whole day at the Hermitage, once the residence of the Russian emperors, and now the main museum of Russia that contains an art collection of incredible size. While in St. Petersburg, do not miss the charming surroundings of the city. Choose between shiny Peterhof, the ceremonial Palace of Catherine the Great in Tsarskoe Selo and cozy Pavlovsk, take a stroll down the alleys of Gatchina or Oranienbaum parks. St.Petersburg is considered by many to be the cultural center of Russia - various theaters and concert halls are at your disposal. Mariinsky theatre may be the first on your list – one of the best theaters in Russia. With its 3 million exhibits, the Hermitage represents Roman and Greek sections, galleries with Rembrandts, da Vincis, Impressionists and many other masterpieces. Its architecture and interiors are so splendid that they claim an attention equal to that bestowed on the exhibits. In 1793 Peter the Great declared that a city would be built on Zayachy Island. The Fortress was supposed to guard the approaches from three branches of the Neva delta and became famous for its Cathedral, with its 122m spire belfry, a notorious political prison, Botny Dom, the pavilion once housed Peter the Great's boat and one... of the newest and the most peculiar monument of Peter the Great created by the unofficial artist Mikhail Shemyakin. St.Isaac's Cathedral is surmounted by an immense cupola with the observation deck providing the best view of the city. Among other fineries, note the mosaic iconostasis with malachite columns and Orthodoxy's only stained glass window, depicting Christ shimmering mysteriously under gas light. By the order of Peter the Great a number of palaces were built along the shore of the Gulf of Finland to the west of St. Petersburg, the ensemble known as Petrodvorets. The Grand Palace sits atop a hill separating the entire ensemble in two parts - the Upper Garden and the Lower Park. Best know for its fountains, Petrodvorets is... often compared to France's Versailles. Among other attractions of this complex are Monplaisir, Peter's original villa, Marli, the ultimate in private dining-rooms, with the ubiquitous fountains, charming pavillions and summer houses scattered around the whole area of the ensemble. Opening hours: The estate is open from 09:00-20:00 daily during the season, the fountains operate from 11:00-20:00 (until 21:00 on Sunday) from the last Sunday in May to the end of September. All museums are open from 10:30-18:00 The Grand Palace is closed Mondays and the last Tuesday of the month; Chateau de Marly is closed Mondays; Monplaisir and the Hermitage Pavilion are closed Wednesdays and the last Thursday of each month; the Cottage is closed Mondays and the last Tuesday of the month. Outside high season (June1- October 5) all museums operate 10:30-17:00 Sat-Sun. Additional attraction: Hydrofoil transfer from St.Pete. sailing from May 7th-October. The town of Pushkin is situated 12 miles (20 kilometers) from Saint Petersburg. Formerly Tsar's Village(Tsarskoe Selo), it used to be the parade imperial residence. Pushkin, Karamzin, Lermontov, Tolstoy and Akhmatova once resided in this town. In the early XVIII century Peter the Great granted this small country estate to... his favorite Alexander Menshikov. Sometime later it was bequeathed to the tsar's wife Ekaterina Alekseevna. Catherine's Palace and the Catherine's Park are among Russia's top museums visited by hundreds of thousands tourists every year. The yellow-and-blue facade of the Palace decorated with snow-white columns is the most famous example of the Russian baroque style, designed by Bartholomeo Rastrelli for the Empress Elizabeth, daughter of Peter the Great. The famous Amber Room looted by fascists and lost somewhere at the German border almost 60 years ago has been restored and is now open to the public! Opening hours: Park open 09:30-17:30 daily (May 1- October 14). Catherine's Palace open10:00-17:00, closed Tuesdays and last Monday of each month. It's a classical building owned by eccentric and conspicuously wealthy Prince Felix Yusupov. Here on 17 December 1916 Yusupov and friends killed the Tsar's favorite, the mystic monk Grigory Rasputin. Today guided tours take visitors round the luxurious white-columned hall and the private theater upstairs. The name arises from the spot on which it was built, site of the assassination of Tsar Alexander II (1 March 1881). It's an extraordinary feast of patterned and colored domes echoing St.Basil's in Moscow and reviving forms of 17th century Moscow and Yaroslavl architecture. The Mikhailovsky Palace shelters the oldest and largest public collection of Russian art. Of the 300,000 works kept here, the fraction on display provides unforgettable insights into the national consciousness. The Pavlovsk Palace is located southeast of St. Petersburg, a few miles away from the town of Pushkin. This palace was a gift of Catherine the Great,Paul's mother , commemorating the birth of Alexander, son of Paul, in 1777. Most of the furniture, statues, paintings and porcelain were brought by Paul and his German wife Maria from their European travels. Unlike the other state palaces of the Russian monarchs, the Pavlovsk Palace is unique due to its homely atmosphere and non-garish choice of colors. The gorgeous Pavlovsk Park is one of the largest man-made parks in Europe. Opening hours: Park open 09:00-20:00 daily. Grand Palace open 10:00-17:00, closed Fridays and the first Monday of the month; on Thursdays only the State Rooms are open. Pavilions open 10:00-17:00 daily June to October. 10 kilometers west of Petrodvorets, this estate was founded by Alexander Menshikov, but was completed later by the order further developed by Peter III and Catherine the Great. The estate was originally called Orienbaum (German for orange tree) as Menshikov had a hot-house orange orchard. Museums 11:00-17:00 (until 16:00 on Mondays), closed Tuesdays and the last Monday of the month. Opening hours: Museums 11:00-17:00 (until 16:00 on Mondays), closed Tuesdays and the last Monday of the month. 45 kilometers southwest of St. Petersburg, Gatchina was first built by Count Grigory Orlov, one of Catherine the Great's lovers. After his death it became an imperial residence and the favorite of Paul I, who spent most of his life there. The huge park ensemble, originally designed in the English style, is less formal than Pushkin and Petrodvorets. Opening hours: Daily 11:00-17:00, closed Mondays and the first Tuesday of the month. The group of ancient Russian towns around Moscow scattered amidst plains, lakes, rivers and forests known as the Golden Ring, played a significant role in the formation of the Russian Orthodox Church and the Russian state. The Golden Ring includes a number of ancient towns, monuments and famous sites in Russia, located north-east of Moscow. These cities give one an idea of the medieval times in Russia. Having once played an important role in the course of the Russian history, the Golden Ring towns are now referred to as “open air museums”. They feature unique monuments of the twelve-eighteenth century Russian art and architecture: various monasteries, kremlins (fortresses), cathedrals, and churches with classical icons. Some of them such as the St. Sergius Lavra, and white stone architectural masterpieces in Vladimir and Suzdal are included in the UNESCO World Heritage List. The landscape of the Golden Ring is specific to Russia: the picturesque banks of Volga River with splashes of ancient architecture, fields, and small provincial towns where the pace of life is much slower than in the capital. A trip around the Golden Ring is a fascinating journey into the Russian history, culture and spiritual traditions. Suzdal is considered to be the gem of the Golden Ring, a fairy tale city indeed with etched white stone cathedrals of the old Kremlin, the merlon-topped walls of convents, and cozy quiet streets with mostly one-storey wooden houses. Suzdal is special not only for its lovely old cathedrals and convents, but mostly because they haven’t... been strangled by the 20th century. Local law limits the height of buildings, except cathedrals, to 2 stores maximum. The city was first mentioned in chronicles of 1024. Until today preserved are a number of buildings of even the 12th century, as well as of later periods, there are the 13th century Nativity Cathedral (Rozhdestvensky) contains frescoes dating back to the 13th, 15th and 17th centuries, the 12th century Church of Boris and Gleb, the Intercession Convent and the Monastery of our Savior and St. Euphemius where the best bell ringers of Russia performs, and many others. The oldest structure of Suzdal is the 10th century Kremlin with the unique 18th century civil architecture of the Cross Chamber which was used for Archbishops’ receptions since the Kremlin from the 14th century to the 18th century became the residence of the archbishops. The museum of wooden architect in Suzdal represents the old wooden architecture from all around the area of Vladimir and Suzdal Suzdal is remarkably calm comparing to other Russian tourist cities, it astonishes with its unique “living museum” atmosphere. Kostroma is a charming city on the Volga River with exquisite examples of provincial architecture dating from the time of Catherine the Great. In the 12th century Prince Youri Dolgoruky was making his way to Kazan through the primeval forest. Tired of defeating the robbers he decided to found a city. In the 18th century Kostroma... was completely destroyed by the great fire. It was rebuilt by the design of Catherine the Great. And according to the legend the Empress had a queer way of designing. The people say that she dropped her fan on the city map and thus made the streets radiating from a single focal point. Kostroma is also famous for a number of prominent people who lived and acted there. During the Polish-Lithuanian intervention in the beginning of the 17th century Kostroma played a significant role in formation of volunteer corps leaded by Minin and Pozharsky. Ivan Susanin is another representative of the city that became a symbol of Russian patriot. He was forced by Polish militants to lead them to Moscow. But instead of that he deceived them and led them into the mire in the thick forest, where they vanished forever. Ivan Susanin took his death among them, sacrificing himself for the country. Monastery of the Epiphany founded in the first half of the 15th century is a main church of Kostroma. The monastery was founded by a disciple of St.Sergius of Radonezh Nikita. It was one of the first stone buildings in Russia. The monastery houses the 12th century Fedorovsky Holy Virgin Icon which according to the legend was found hanging from a tree by a Prince Vasily a brother of Alexandr Nevsky. Another marvelous Resurrection Church on Debra was built in the 17th century with the donations of local merchants. Sergiev Posad is and has almost always been the official seat of the Patriarch, the head of the Russian Orthodox Church. The city was built in the 14th century, and named in honor of St.Sergius of Radonezh. There St.Sergius Radonezhskiy founded the largest monastery in Russia, the Trinity – St.Sergius Lavra. St.Sergius was the... one who blessed Prince Dmitry Donskoy before the Battle of Kulikovo, which ended the long period of Tatar invasion. The monastery had been under protectorate of Russian tsars and emperors. There the grave of Boris Godunov is located, Ivan the Terrible was baptized in the monastery, and Peter the Great was hiding behind its walls during the rebellion of the strelzy (army). Even later under the communist regime religious life was not totally destroyed in Lavra, though of course it suffered a lot under the atheist authorities. During the Soviet times the city was renamed into Zagorsk (in honor of famous revolutionary), but after the Perestroika the historical name was returned to the city. The monastery is a rare example of ancient architecture. Preserved there are the 15-19th centuries constructions, created by best Russian masters, the 14th century icons of the celebrated painter Andrei Rublyov of the Holy Trinity Cathedral (1422), the 16th century magnificent Assumption Cathedral with blue and gold dome, best examples of the 18th century baroque style, such as fifth-level Belfry, designed by best Moscow architectures of the time. Aside from the monkish things Sergiev Posad is also known for its toys. Even St.Sergius of Radonezh was carving toys by himself. The only Museum of Toys in Russia is situated exactly there, and contains over 30000 displays. Yaroslavl is a beautiful old Russian city, a constituent of the Golden Ring. It is located near the Volga and the Kotorosl Rivers, which determined its strategically important role in the medieval history. The city was founded by prince Yaroslav the Wise as a border fortress, and was named in his honor. Yaroslav the Wise had captured... an old settlement known as Medvejy Ugol (Bear’s Corner) and, as a legend says, had split a pagan image of a bear in two with his battle axe, after which event bear with an axe became the symbol of the city. Another legend states that Yaroslav the Wise killed a real bear. Anyway the location was advantageous, and the city was thriving during the 12th and 13th centuries. Yaroslavl became a capital of the principality and bought fame as a cultural center with unique art and architecture schools in it. But during the Mongol invasion the city shared the fate common to many Russian cities of that time: Yaroslavl was burnt. And though for a while it put an end to this burst of the city’s prosperity, due to the favorable location at the trade route between Western Europe and the East, Yaroslavl soon recovered as the most prominent trade center of Russia, the second Russia’s largest city, and even an informal capital of the country during the Polish invasion. Apart from the 12th century Transfiguration of the Saviour Monastery, in Yaroslavl there are churches that date back to the 17th Century, such as the Church of Ilya the Prophet, which has some of the most impressive frescoes of all the Golden Ring’s cities. The brightest example of the unique architectural style of Yaroslavl (buildings of red brick with bright tiled exteriors) is the St.John the Baptist Church that was built in 1671-1687. Yaroslavl is also the place of the first Russian theater – the Volkov Theater built in 1750. Vladimir is one of the oldest cities in Russia situated near the Klyazma River. Vladimir, being one of the most beautiful cities, is also called the gate of the Golden Ring of Russia. Since the 12th century it had been the capital of Russia, and thus Vladimir was called the father of all Russian cities. During that time Vladimir... had enjoyed prosperity and growth, and than the Assumption Cathedral and the Golden Gate had been built. Moreover the city had become the seat of the metropolitans of Kiev and Whole Rus. But in 1238, during the Mongol invasion, the city was burnt, and the capital was moved to Moscow. The metropolitan seat was also moved to Moscow, as well as the holy icon of Our Lady of Vladimir. The relics of saint prince Alexander Nevsky had been kept in the Nativity Monastery, one of the most important monasteries till the 16th century, but in the 18th century Peter the Great transferred them to St.Petersburg. In spite of all these losses Vladimir remains the cultural center of Russia, it contains unique examples of pre Mongol architecture, such as the Assumption Cathedral, the Golden Gate, and Cathedral of St. Demetrius. The Assumption Cathedral was built in 1158, and in the 14th century it was the seat of the metropolitan. At that time the Cathedral was newly painted by the famous Andrei Rublev and Daniil Chyorny. In the 12th century Vladimir was surrounded by a rampart with five stone gates, but only the Golden Gate survived till nowadays. In the 19th century the ramparts were removed and the Gate was reinforced by another construction. Uglich is an ancient town on the Volga River, it is considered to be founded in the 10th century. The name of the city is derived from the word ugol, which means a corner, and supposedly alludes to the nearby turn of the Volga River. Like many other medieval cities it was a border fortress of Muscovy and was burnt several times... by Lithuanians, Tatars, and the grand prince of Tver. Following death of Ivan the Terrible his youngest son was banished to Uglich. In a couple of years he died in unknown circumstances – he was found with his throat cut by a knife. Suspicions fell on the tsar’s chief advisor Boris Godunov, though the official conclusion was that the death had been caused by an accident. The story is reflected in the play “Boris Godunov” by the celebrated Russian poet Alexander Pushkin. The bell which alerted people of tsarevich’s death and started mutiny was exiled to Siberia and his tongue was cut. In any event Dmitry was the last member of the royal dynasty and his death plunged Russia in crisis and bloody period of civil war and Poland invasion, altogether known as the Time of Troubles. The newly elected dynasty of Romanov (1613) canonized the killed prince, and Uglich turned to be a place of pilgrimage. On the spot where Dmitry was found dead a lovely Church of St.Demetrius on the Blood was built in 1690. The image of tsarevich with a knife in his hand was adopted as the town’s emblem. The Church of St.Demetrius is a part of Uglich Kremlin, which combines buildings of different era: since the 14th century till the 18th. Zakharovo and Bolshye Viazyomy are two estates not far from each other, which has quite close connection to the most prominent Russian writer and poet Aleksander Pushkin. The estates sometimes are even called a poetic home of Pushkin. Here he found the inspiration for such works as Dybrovsky, Barishnya-krestyanka (The Squire's Daughter), Boris Godunov, and Pikovaya Dama (the Queen of Spades). Both estates compose a museum complex devoted to Alexander Pushkin. Zakharovo was the place where Pushkin had spent his childhood. His grandmother Maria Gannibal bought it in 1804 for her grandchildren to spend there their summers. It is also a place where Pushkin and his nanny Arina Rodionovna met and became precious friends. The Pond and the Hill stayed the same they had been in those times. The Zakharovo museum exhibits early years of Pushkin. The closest church to the estate was in the Bolshie Viazyomi village, which little Pushkin often visited in his childhood. Bolshye Viazyomy Originally the village was the last station on Smolenskaya Road to Moscow. Once it belonged to Boris Godunov and later Peter the Great presented the estate to his teacher Boris Galitsin. During the Napoleonic war of 1812 the headquarters of Russian army were located there. Anyhow Alexander Pushkin often visited Golitsin’s estate. The story says that the prototype of the old lady from “Pikovaya dama” was Princess Natalia Golitsina, and her son Boris was the prototype of Lensky from “Eugene Onegin”. Locals call the main building of the estate “the house of the Queen of Spades”. The estate boasts of the most beautiful church in the Moscow region, the Transfiguration Cathedral built by Boris Godunov in 1694. The white stone two-stores church has all kinds of traditional decoration and nuances. For the two golden centuries of history of Russian art, Abramtsevo had been the land of artists’ pilgrimage. Actually, it was the very place where Russian Art Nouveau was born. Abramtsevo is a sweet estate with a lovely park and a lake. Until late 19 century it belonged to Sergei Aksakov, a devout Slavophile writer. That time the estate often hosted famous friends of Aksakov’s, writers Gogol, Turgenev and others. After Aksakov’s death the estate was bought by art patron Savva Mamontov. He used to invite to Abramtsevo promising painters to live and create there. Many of them later became the pride of Russian art. Ilya Repin, Issaak Levitan, Vasily Suriokv, Michail Vrubel, Viktor Vasnecov, Vasily Polenov and others lived in Abramtsevo together forming a kind of artistic colony. They sought to recapture the spirit and the quality of Russian medieval art. Not far from the estate runs beautiful Aksakov’s spring, where the owners and guests of the estate used to take water for their needs. Genial artists that lived in Abramtsevo left their mark on its architecture. A plain but picturesque Church of Spas Not Made by Human Hand with asymmetrical decorations was designed by Polenov nad Vasnetsov who also painted its murals. Church’s iconostasis was glided by Repin and Nesterov. After the church they built the House on Chicken Legs, a fairy-tale abode of an evil witch, Baba Yaga. Teremok Baths was built traditionally but with unorthodox folk carvings. There is no need and no room to mention all the famous pieces of art that had been created there. One of them “Pictures at an exhibition” is well-known also because it had inspired Modest Mussorgsky to compose his famous piano suite. After the Revolution of 1917 the estate was nationalized, but despite of that fact it still remained to be a significant place for Russian art. Here worked the sculptors Vera Mukhina, the author of the monument of worker and kolkhoz woman, Konchalovsky, Mashkov, the famous opera singer Shalyapin, and many others. The initial village at the place had been a part of Iosif-Volotsky monastery territory, which later was bought by Ivan the Terrible and became the favorite hunting place of Russian tsars and nobility. One account the city’s name origination suggest it was the name of the 12th century prince Yaropolk. However there is another account, that the name was derived from the words “Yaroe pole” (field of fury), which referred to the place of kennels of Russian tsars there. The main attraction of the city is another Russian Versailles, a neo-classical estate of the wealthy family of Goncharovs. Alexander Pushkin’s wife was a member of this family and he himself visited the estate several times. The estate with a beautiful palace, Regular Park and sculptures was one of the wealthiest ones in Moscow area. The prominent architectures Shubin, Martos, Reshet, and others designed it. The estate demonstrates how a stately country house of 1780 looked. Another attraction of Yaropolets is a hydropower plant, which was built by locals inspired by the state electrification plan. It was the first countryside hydropower plant. Lenin and Krupskaya visited Yaropolets in 1920 to see the plant. This is a small provincial town with long history. It is supposed to have existed sine the 13th century. And unlike most cities, Borovsk managed to preserve much of its appearance of the 16-17th centuries practically intact. Thus the architecture of the city combines several old styles, ancient, neo-classical, and modern. Nowadays a local amateur painter Ovchinnikov has covered many of the city’s buildings with paintings of historical events. The city is closely connected to the history of Old Believers movement. Celebrated Old Believers Pafnutiyev Monastery was founded near Borovsk in 1444. In the late 17th century when Russian Orthodox church experienced a schism, and a group of Old Believers was attempting to preserve their belief and rituals against the new law, the Monastery became a prison for the leader of old-believers movement Avvakum Petrovich and boyarynya Feodosiya Morozova (the plot used by famous Russian artist Surikov for his most famous painting). This settlement is famous for its exquisite carved wooden sculptures, figures, and toys. The art of wood carving practiced here has been kept and handed down through many generations of masters. The village became a part of the Trinity-Sergius Monastery at the end of the 16th century gravitated to the Trinity-Sergius monastery as a cultural center of the country. Probably the village adopted carving handicrafts from the monastery. The symbol of the Bogorodskoe toys tradition is “a man and a bear” plot in different situations. The action of a twirling wooden ball on a string makes the bear perform actions, such as playing the drums or piano, play at chess, or juggle balls. Another traditional toy consisting of two rocking figurines of blacksmiths balanced on two opposite ends of a plank that is moved by a wooden ball. The most pretty little town near Nizhni Novgorod stands on a bank of Volga River, and the natural landscape of it is peaceful and beautiful. In present times it scarcely can be called well-known even among Russians, but there were times when it played a significant role in the life of the country. The city was reputed for its lace and Dutch tile manufactures. Balakhna’s laces were exported into Europe and colored tiles were used for decoration of the St.Basil cathedral in Moscow. Balakhna was one of the few Russian cities shown on the 1689 Amsterdam World Map. For many centuries Balakhna has been one of the most powerful centers of Orthodox Christianity. It was also the birthplace of Kuzma Minin – the organizer of the famous Home Guard that in 1612 liberated Russia from Polish invaders. The oldest structure in the area is the tentlike church of St Nicholas (1552). Of all the tentlike churches built in brick, this is the nearest approach to their wooden prototypes. Gorodets is the oldest city in Nizhny Novgorod area. It was founded in the late 12th century by Prince Yuri Dolgoruky who is better known to the world as the founder of Moscow. Another famous Prince of ancient Russia - Alexander Nevsky, the brave warrior and the Saint of Russian Orthodox Christian Church, died there on his way back to Novgorod from the Golden Horde in the 13th century. But mostly Gorodets is renowned for the numerous folk crafts: golden embroidery, painting and icon painting, wood carving and inlaid work, weaving, wooden jug whistler, vine plaiting, pottery craft, baking honey cakes (pryanik) and others. Gorodets painting is one of the most famous artistic crafts of Russia, the brightest phenomenon of so called “na?ve painting”. The painting is very rich in colours of Russian summer; it is filled with the bright sunshine of the cloudless noontide. The luxuriant garlands of flowers, the whimsical birds and a famous Gorodets horseman are the highly recognizable marks of the style. Dmitrov is an ancient town founded by Yuri Dolgoruky, who is better known to the world as the founder of Moscow. In spite of the fact that Dmitrov is situated not far from Moscow, it looks like a quiet and tidy provincial town. Here Prince Peter Kropotkin, one of the first theorists of Russian Anarchism, spent his last years after he had rejected the offer of ministerial position, enjoying long conversations with members of swamp examination Committee. The oldest examples of Dmitrov architecture are the Dmitrov Kremlin (12th century), and the fourteenth century monastery of St.Boris and Gleb. Since the 12th century the Kremlin acquired further fine development. In the beginning of the 16th century the black-domed Assumption Cathedral was built there, decorated with unique bas-relief with a picture of St.George the Victorious. Another sight of Kremlin is the history art museum with paintings of Zherar, Rokotov, Aivazovsky, Borovikovsky. Gorokhovets is one of the remarkable old towns of Russia that is located between the Volga River and Oka River, on the right bank of Klyazma River. There is evidence that it had existed since the 11th century, but two centuries later the city was burnt to ashes by Mongols. In the 16th century the Tatars of Kazan were also about to burn it, but according to the legend they retreated upon seeing a ghost in shape of gigantic knight with a sword. The hill that had been the scene of this notorious event acquired later a name of Puzhalovo (“frightening”). Along with its supernatural history the mountain is rather good as a viewpoint from which there opens a marvelous view of the whole town and town’s churches. The brick architecture of the 17-18th centuries (St. Nicholas and Sretensky Monasteries, Ascension Cathedral etc.) as well the wooden modern style architecture of the 19th century (merchants houses) are preserved in Gorokhovets quite well. Gorokhovez is also a native town of Stirlitz, the fictional character of the Soviet TV series “Seventeen Instants of Spring” (1973). According to the plot, Syirlitz was a Soviet spy in Nazi Germany and a kind of Soviet superhero. The series had a tremendous success over all Soviet Union. The name of the town can be translated as "crystal goose". It stands on the Gus (Goose) River and is known as one of the main centers of crystal industry in Russia. It naturally appeared near a crystal plant founded in 1756 by merchant Akim Maltzov. The Museum of Glass is located in the Cathedral of St.George’s built in 1892 by the architect L.Benua, the brother of the celebrated Russian artist A.Benua. The church is embellished with mosaic made by V.Vasnetsov. The picturesque village near Moscow that gives its name to the oldest and most famous Russian style of ceramics. Gzhel porcelain is a sort of majolica of blue and dark blue ornaments and floral design against the background of white glaze. Gzhel follows old Russian traditions of folk arts and crafts. Holui is an ancient village near Vladimir and Suzdal. During the Golden Horde invasion the cities of Vladimir and Suzdal were practically destroyed. Their inhabitants, among which there were many artists, escaped in woods and founded Holui on the river Teza, where they were safe from the Mongols. The village soon became known as a center of icon painting. The Holui icon style was marked by slight deflection from the church canons. Often these icons show scenes of day-to-day life of mere farmers. St. Christopher is painted with a head of either a horse or a dog. They say that this is that very Christopher who was given a different face to make the women in the church listen to him instead of staring at the handsome priest. After the proscription of religion following the Revolution Holui masters were forced to look for another type of creating activity. This problem was common for all icon centers, and by all of them was solved by the transition to lacquer painting. Holui masters worked out their own style in lacquer painting applying to lacquer boxes the same principles they had learnt from painting icons. Typical plots of miniatures are adapted from everyday life, from classical literature and fairy tales, heroic epics, and folk songs. Kaluga is an old Russian town on the both banks of the Oka river. Today the town is considered to be small and provincial. But in the past it played a significant role in Russian history and in many ways too. The town was founded as a boarder fortress in the 14th century. Therefore it is strongly connected with the list of Russian wars over the centuries. During the Mongol invasion Kaluga participated in numerous battles. During the Time of Troubles Kaluga was deeply involved in the affair, because of its close position to Moscow. During Napoleon invasion of the 1812th, the town was the stronghold of Russian Army. And during World War II the city was the scene of heavy fight with the Nazis. But along with its warlike glory, Kaluga is also significant as a fine example of the 18th and 19th century classical architecture. Most of its historical buildings are built by the famous architects – Pyotr Nikitin and Ivan Yasnigin who supervised Kaluga’s town planning and construction. Prominent writers, artists, and scientists lived and worked in Kaluga: writers Derzhavin, Aleksandr Pushkin, Nikolai Gogol, Aksakov, Lev Tolstoy and others. Decembrists Batenkov, Svistunov, Obolensky also lived here after their Siberian exile In the 20th century Kaluga acquired an unofficial title of “The Cradle of Space Exploration” since the father of Russian space exploration Konstantin Tsiolkovsky (1892-1935) lived and worked there. Kulikovo Battlefield is one of the largest fields in Russia that lies near the picturesque Don River. A crucial episode of Russian history took place there in 1380 – the battle of Kulikovo Field. Grand Duke Dmitry Donskoy’s victory on the Kulikovo field was the first significant event in the liberation from the Golden Horde. The battlefield is commemorated by a memorial church built by Aleksey Shchusev. Now it is the Kulikovo Field Museum. Every year on the 3-d week of September the Military Historical Festival "Kulikovo field" and the Kulikovo battle re-enactment are held. A minor planet 2869 Nepryadva discovered in 1980 by Soviet astronomer Nikolai Chernykh was named in honor of the Kulikovo Battle that actually took place near the small Nepryadva River. Kolyazin is one of the oldest cities near Tver, on a bank of the Volga River. According to the legend the city was called after a boyar Ivan Kolyaga, who attempted to kill a priest. Pestilence came to his family as a Heaven’s punishment and killed everybody but him, after which drama he repented and decided to become a monk. In the 15th century on the opposite side of the Volga River the Kalyazinsky Monastery was founded. Soon the monastery became popular throughout the country. Many Russian tsars visited it, among them were Ivan the Terrible, Boris Godunov, Peter the Great and others. Icons made in the monastery are still famous and valued around the world. But unfortunately in the beginning of the 20th century the Monastery was flooded during the construction of Uglich reservoir, so the main monument of the city was inundated. Nowadays the Bell Tower (the church’s belfry) is the only part of the monastery visible above the water. Many prominent Russian people are connected with Kolyazin: the writer Saltikov-Schedrin was born there, writers and poets Ivan Krilov, Fonvizin, Zhukovsky often visited the city. Pereslavl-Zalessky is an ancient city on the shores of Pleschevo Lake. It was founded in 1152 by Duke Yury Dolgoruky. Some people say that it is the most beautiful city of the Golden Ring. The quietness of its narrow streets with traditional Russian-style houses, the slow flow of the river Trubeg, and the boats next to the river houses add to the city’s special atmosphere indeed. The first part of the city’s name, and also its oldest part can be translated as “the one who has taken the glory”, the second part Zalessky means “the one which is located behind the woods”. In the 14th century the city was the most famous and saw practically all Russian Dukes. In Pereslavl there is a number of ancient monasteries. The oldest building is the white stone 12th century Spaso-Preobrazhensky Cathedral. In front of the Cathedral, in the city’s Red Square there is a monument of the famous Duke Aleksandr Nevsky, who was born in Pereslavl. Peter the First at the age of 16 has built on Plescheyevo Lake an “amusement fleet” (the famous "funny flotilla"), which was the forerunner of the real Russian fleet. One of the surviving boats, the Fortuna was saved at the Botik museum. A charming city, sometimes called Russian Switzerland, was founded in the 15th century on the right bank of the Volga River. The city is a part of the Golden Ring. Plyos has a great history - it was built as a fort of Russian border, survived from Tatar Horde, intestinal feuds, and several other fights. Later due to the marvelous beauty of the place itself (Plyos is situated on the hilly banks of the river) the city became a famous summer colony, and many gentries visited it, such as Shalyapin, Repin, and others. Well known artist Isaak Levitan lived and worked here. He made Plyos a famous sight, and Plyos made Levitan a famous painter. The village is one of four lacquer box centers in Russia. It grew up as a settlement near the Monastery of the Epiphany (near Vladimir and Suzdal) in the 17th century. Later on since the 18th century the village became famous as a center of icon production in the traditional style. Many talented artists lived there and developed different kinds of folk art such as icon painting, gold and silver embroidery and engraving. The icon-painting style of the village was determined by Old Believers’ tastes and in contrast to opulence of Palekh and Kholuy icons Mstyora masters sought the austerity of the 15th and 16th centuries icons. Mstyora miniatures usually represent characters from real life, as well as folklore, literary, and historical works. A male monastery that was built in the 17th century on a side of the Istra River by Patriarch Nikon. This site was chosen for its resemblance to the Holy Land. The River Istra represents the River Jordan, a hillock nearby is known as Mount Zion, and the buildings represent the holy places of Jerusalem. Monks of different origins, which were chosen by Nikon, represented the multinational Orthodoxy of the Heavenly Jerusalem. The main structure of the monastery is the Cathedral of the Resurrection, a copy of Jerusalem's Church of the Holy Sepulchure. Most famous architectures worked on creation of the monastery, among them were Bartolomeo Rasrelli, Matvei Kazakov, Karl Blank, Yakov Bukhvostov and others. Novgorod is the oldest Russian city, also called Velikiy Novgorod (the Great), with over the top number of monuments. The city is a museum itself. It is the place where the Russian State has begun. In 862 the Scandinavian prince Rurik was invited by the inhabitants of Novgorod to rule them, and there he has founded the dynasty that ruled Kievan Rus. 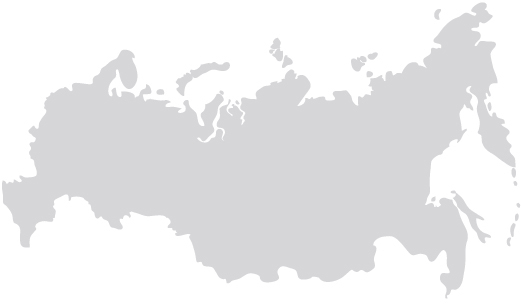 Novgorod also is the cradle of Russian democracy. In 997 Novgorod obtained self government (veche) with special rights and benefits. Later on the city acquired autonomy from the capital Kiev. Veche was a mass assembly of Novgorod citizens who elected and exiled the dukes, and had judicial power, as well as legislative and administrative functions in times when duke was not able to perform them. Novgorod is the oldest Russian center of Christianity. In 988 Prince Vladimir Svyatoslavovich baptized Rus with the rules of the Eastern Orthodox Church, and Novgorod played an important role in this process. Novgorodian higher clergy were rewarded by their appointment to the archbishopric. These achievements made the Novgorodian Holy See one of the most important religious establishments within the Russian Orthodox Church. Besides Novgorod was the major medieval international trade center due to its location on the most important trade route “from the Varangians to the Greeks”, near Lake Ilmen. Novgorod was the center of medieval culture and the center of literacy and education. Culturally the city was equal to Kiev. There were lots of monasteries in Novgorod, and the bulk of ancient manuscripts originated there. Because Novgorod remained unconquered throughout Tatar invasion, its cultural monuments and traditions survived since the ancient times. Novgorod Kremlin also called Detinets (Young Man's Compound) was first mentioned in 1044. In contains the main Russian Orthodox Cathedral Church, the oldest one preserved in Russia and a symbol of the city - St.Sophia Cathedral (1045-1050) On the opposite side of the Kremlin there is the Yaroslav's court, the economical and political center of ancient Novgorod. Yaroslav’s court is named after Prince Yaroslav the Wise who built a palace there. Novgorodian veche often met in front of the court. One of the most important monasteries in the medieval Russia was the St.Antony’s Monastery. The legend statues that the monastery was founded in 12 century by St.Antony of Rome who flew to Novgorod from Rome on a rock on the day of the Virgin’s nativity. The same year he founded the Church of the Virgin’s Nativity – one of the few three-domed churches in Russia. The church contains unique frescoes from the middle ages. The museum of wooden architecture contains the typical wooden structures of the ancient Russia from all over the area of Novgorod – the churches, houses etc. Nizhny Novgorod is one of the oldest Russian cities. It was founded in 1221 at the confluence of two most important rivers, Volga and Oka, which was a very convenient place for a trading city. During the Golden Horde invasion Nizhny Novgorod was among several newly founded towns, which escaped the devastation on account of their insignificance. Thus later on these cities grew into important centers. By the end of the Horde period, in the 16th century, a Kremlin was built in Nizhny Novgorod, which is well preserved till today. In the Kremlin there is Archengel Michiel Cathedral of early 17th century with the grave of Kozma Minin. In the 17th century the city prospered commercially, partially because one of the wealthiest merchant family Stroganovs chose it as a base. They invested a lot into the city development, and even gave their name to a new style of architecture, the Stroganov style. Nativity or Stroganov Church - a good example of Stroganov style – with colorful domes, white carvings, baroque iconostasis and icon of Savior which has resemblance to Peter the Great. Generally the architecture of the city is very diverse, ranging from baroque to modern, Art Nouveau, and Stalin Empire style. The land of Nizhny Novgorod is also reach in art craft: carving and painting on wood, embroidering in gold, handling of metals and clay, bone lacing, making toys. In the 20th century during the communist regime the city acquired a new name of Gorky, in honor of the famous writer Maxim Gorky, who had been born there. Later, in 1990 this name was changed for the old one. The city is also famous as a place of exile of the scientist and human rights activist Andrei Sakharov. Optina Pustyn is an active male monastery in the Kaluga area, one of the most significant monasteries of contemporary Russia. It was founded, as the legend states it, in the 15th century by the repented outlaw named Opta. Much later, in the 19th century Optina Pustyn gradually became a real spiritual centre of the Russian Orthodox Church and had significant influence on the cultural life of Russia. Many visitors of the monastery experienced spiritual renewal. One of the reasons of this extraordinary fame was the “startsy” (old people) of the monastery: the old sage monks, who were of the absolute authority for the rest of people of Optina Pustyn. In recent times most notable “startsy” were canonized. One of the “startsy” Saint Amvrosy was the prototype of Father Zosima, the character of Dostoyevsky’s novel “Brothers Karamazov”. Dostoevsky stayed in Optina Pustyn for a short time. Nikolay Gogol thought of taking the monastic vow there, which he never did though. Lev Tolstoy, who is also known as a great rebellion against Orthodox Church, came there just before his death. The legend of the monastery says that he touched the handle of the door to Saint Amvrosy’s cell, stayed for a wile deep in thought, then turned away and went out. The rich library of the monastery was collected with help of brothers Kireevsky, who where among the leaders of Slavophile movement in Russia. After Russian Revolution in 1917, all the monks and the “starets” were forcibly deported from the monastery. The hegumen was executed in Tula in 1938. The starets died in a remote village Kholmischi, miserable and ill-treated. In Perestroyka times Optina Pustyn was among the first abbeys returned to Russian Orthodox Church. It is a marvelous city on the picturesque banks of Oka River, famous for its literary traditions and gorgeous nature and architecture. Its central streets have preserved their 19th century atmosphere. The town was founded in the 16th century by Ivan the Terrible as a fortress to defend south borders. But the defensive career of the town failed because of its location. Nonetheless during the 2nd World War this was the place where in 1943 the final Nazi counter-attack was stopped. The events of that time are shown in the local museum-diorama of the 2nd World War. In the 19th century Orel took an important role in cultural life of the country. During that time surprising number of Russian intellectuals lived there. The writers Ivan Turgenev, Ivan Bunin, Nikolai Leskov, Leonid Andreev are only a few of the long list of all those famous men who thrived in the city. This city was built in the 12th century by novgorodian merchants at a portage spot on the waterway from Novgorod to Moscow, and that is how Volokolamsk acquired its name. The location of the city on one of the most important trade routs in medieval Russia helped the city’s flourishing. But lately this very location caused many troubles, since the city was situated between the two powerful principalities: Novgorod and Moscow. For three centuries during the Time of Trouble it had been the subject of argument between Moscow, Novgorod and Tver, which caused the city’s decline and loss of importance as a merchant city. In the 15th century St.Josef’s Monastery was built in Volokolamsk – one of the wealthiest monasteries which played a key role in the 16th century political and ecclesiastic life. The monastery was founded by Joseph Volotsky, Russian monastic reformer who fought for independence of the church from the state. The monastery became a stronghold of struggle against heretics and its vaults were used as a prison for dissenters and public enemies. Among its inmates were Maximus the Greek, tsar Basil IV, Polish prisoners of Russian-Polish war of the 17th century, and French prisoners of the Napoleonic war of 1812. During the bloodiest periods of Russian history, the Time of Troubles and Poland invasion, as well as the World War II, some monastery’s construction were harmed, especially its walls, which were rebuilt later in the 17th century. Enormous octagonal bell-tower that was the tallest structure of the 16th century Russia was blasted during the World War II, but luckily the frescoes of the Assumption Cathedral created by the great icon-painter Dionisius were preserved. During the World War II German forces occupied Volokolamsk and the famous phrase was told there: “Russia is vast but there is nowhere to retreat. Moscow is behind us!” Through the great mass sacrifice of Russian soldiers German army couldn’t get any further. The famous feat of 28 panfilovtsy took place near Volokolamsk. A village not far from Vladimir and Suzdal. According to the legend Palech was founded by the people who had left Vladimir and Suzdal escaping from the Golden Horde invasion. They burnt the forest and built a settlement named Palekh. The city was once famous for icon painting. Palekh painters took part in renovation of cathedrals and the Faceted Chamber of the Moscow Kremlin, churches of the Holy Trinity in St. Sergius Lavra, and the Novodevichy Convent. But after the revolution of 1917 and religion proscription Palekh icon-painters were forced to look for new ways to implement their art. Thus they turned to the manufacturing of non religious lacquer miniatures. Palekh miniatures became famous throughout the world. Typical plots of these miniatures are adapted from everyday life, classical literature and fairy tales, heroic epics, or folk songs. It is one of the most ancient towns, which was first mentioned in 862 in “The Tale of the Years of Time”. In the eve of the Tatar-Mongol invasion Rostov was one of the largest Russian towns. Only two cities carry “great” in their names, those were Novgorod, Russia’s northern capital, and Rostov, the city with a thousand year history, cultural and artistic centre of old Russia, a land of fairy-tale warriors and epic heroes. There was born St. Sergius Radonezhsky, a spiritual leader and monastic reformer of medieval Russia, and a venerated Russian saint. Besides this city was the home of prominent chroniclers and icon painters. Contemporary Rostov is a fairy tale town: stone and wooden houses of the 19th century, picturesque locals, wells, architraves, horses, birches. The major decoration of the city is the Nero Lake. On the shore there is a white-stone Kremlin of the 17th century with the Assumption Cathedral (16th century) which bells are among the largest and most famous in Russia and the Church of St.John the Apostle (1683). These churches are famous for their unique 17th century frescoes and remarkable decoration. From the 18th century Rostov became famous for its enamel painting came to Russia from Byzantium and famous enamel works can be seen in the museum of enamel of the Kremlin. Serpukhov is an old Russian town that is situated at the confluence of the Oka and the Nara Rivers. The town was established in 1339 to protect the Southern approaches to Moscow. In the 15th century a Kremlin was built in the city as a part of the Great Abatis Belt, which was designed to protect Moscow from Crimean Tatars and Mongols. The height of the Kremlin’s walls was up to 8 meters. But in 1934 parts of the citadel were demolished for construction of the Moscow metro. By now there are only ruins of that Kremlin left. The main monument of the Kremlin is the Trinity cathedral, built in 1696 in Moscow baroque style. On the opposite banks of Nara river two monasteries are facing each other, both built in the 14th century, almost at the same time. Those are the Vysotsky Monastery and the Vladychny Convent. The Vysotsky Monastery features a five-domed cathedral from the late 16th century, as well as the miracle-working icon of Inexhaustible Chalice, which possesses miraculous power, that can heal from alcohol connected disorders, as well as others ailments and sorrows. The Vladychny Monastery’s main buildings are the Presentation cathedral, and a tent-like St. George's church. They were erected during Boris Godunov’s reign. Serpukhov Art Gallery is one of the best galleries in Moscow area. After the revolution a part of the exhibition was sent to Moscow galleries, but even what was left in Serpukhov Gallery is no less impressive: paintings of Rokotov, Polenov, Aivazovsky, Shishkin, Levitan, Savrasov, Vereshchagin, Vasnecov, Goncharov. A charming provincial town situated on the Tvertsa River preserves the atmosphere of a prosperous merchant’s city of the 19th century. Torzhok was one of Russian oldest settlements first mentioned in the chronicle in 1139. Its name is translated as the market place, for it was supposed to be one of the most important trade cities due to its location on the Novgorod trade route. The city met almost all invaders known in medieval Russia. It had been raided and burnt by Tatars, later on the Poles also had burnt the city. Anyway by the 19th century the city reached the peak of its prosperity. After the foundation of St.Petersburg Torzhok became an important station on the highway from Moscow to St.Petersburg. Celebrated Russian poet Alexandr Pushkin used to pass through the city on a number of occasions and today there is a museum devoted to him. Besides Pushkin many other literary people visited the city and were charmed by its beauty, among them were Zhukovsky, Vyazemsky, Belinsky, Aksakov, Gogol, Ostrovsky, and others. At that time many buildings in the city were rebuilt by most famous Russian architects. The major cathedral of Torzhok, the Church of Transfiguration of the Savior was reconstructed according to the plan of renowned architect from St.Petersburg Carlo Rossi. The 11th century monastery of Boris and Gleb was also reconstructed in the neoclassical style, designed by one of the most talented Russian architects Nikolai Lvov. The monastery is considered to be one of the greatest monuments of Russian neoclassicism. Besides the neoclassical style the city preserves examples of traditional wooden architecture that rarely can be found somewhere else outside museums such as 17th century wooden Ascension Church. The city is also glorious for the people who were born there, among them were the expressionist painter Alexei von Javlensky, and the theorist of anarchism and revolutionary Michail Bakunin. Tver was built in 12th century at the confluence of Volga and Tvertsa Rivers, and it is famous for its architecture of the 18th century. The woods and bogs around the city have not only made it to be one of the wealthiest ones in Russia, but also saved it from the Tatar raids. This allowed the city to vie with Moscow for supremacy in Russia, and determined the key role of the city during the Time of Troubles. But Tver lost, and Moscow is the capital. With the foundation of St.Petersburg Tver gained importance as the main station on the highway from Moscow to St.Petersburg, and many Russian royalty and nobility visited the city traveling from Moscow to St.Petersburg and back. Following the great fire of 1763 the city was rebuilt in neoclassical style, according to the design of the most celebrated architectures (Matvei Kazakov and Lvov). For example the most important sights of the city are the Travel Palace of Catherine the Great designed by celebrated Matvei Kazakov as a place to rest on her journeys between Moscow and St.Petersburg , and the Ascension church, designed by Lvov. Besides the oldest building in the city is the 15th century White Trinity Church, which has never been shut down over its history. It contains unique iconostasis and murals of the 18th and 19th centuries. During the World War II German forces occupied Tver for 2 months. Tver was the first major city in Europe to be liberated from the Wehrmacht. During that period the city was the center of the largest resistance movement in Russia. The hilltop fortress founded in the 12th century on the left bank of Moscow River. The town’s name derived from two roots meaning “to ring bells” and “town”. It can be translated as “the town where bells are rung”. The legend says that when the bells were rung in Zvenigorod the sound could be heard in Moscow, thus Zavenigorod could warn Moscow of a coming enemy. Once during the Time of Troubles the city competed with Moscow to be the nation’s capital, but lost, than eventually lost its independence, and became a part of Muscovy. The local Kremlin, called Gorodok was the major part of the town. It contains examples of the 14th and the 15th century’s architecture such as the Assumption Cathedral (1399). In the 14th century the white stoned Savvino-Storozhevsky monastery was built nearby. The founder of the monastery was one of the disciples of St.Sergius Radonezhsky. In the 17th century the monastery was chosen by tsar Alexis as tsar’s suburban residence. Within the Monastery stands the Nativity of the Virgin Cathedral (1405) with an interior of 15th, 16th, and 17th century paintings. In the beginning of the 20th century several icons painted by the celebrated Andrey Rublev were found at the monastery. They were transferred to the Tretiakov Gallery. Besides there is a suspicion that the frescoes of the Assumption Cathedral were also featured by Andrei Rublev. In the beginning of the 20th century a number of healing springs was found in Zvenigorod. Thus during the Soviet time the city became a famous health resort was given the name of Russian Switzerland. Melikhovo is an estate of famous Russian writer Anton Chekhov. There he has written his brightest plays, “The Seagull” and “Uncle Vanya”. For Anton Chekhov Melikhovo period was not only the time of literal creation, but also the time of medical and public activity. Therefore the huge heritage left by the writer in the estate was saved as a museum. The interiors of the home stayed untouched after Chekhov. The estate is surrounded by magnificent lands. Deep in the park there is an Alley of Love with an old elm, which was called Mamvrisky Oak by Chekhovs. Local women led by some legend touch the elm, hug and kiss it. They don’t reveal the secret but to be on the safe side they advise to touch the tree anyway. Ostafievo is the 18th century estate of Prince Viazemsky, one of the teachers of Peter the Great. There is an account that Prince Viazemsky designed the estate by himself. After the Prince’s death there lived his son Peter Viazemsky, a poet, a literary critic, and a friend of Pushkin. In 1830 the formidable-looking palace, surrounded by an old park, was the venue for artistic parties, attended by prominent people such as Pushkin, Karamzin, Griboedov, Baratinsky, Kuhelbeker, and others. There the historian Nikolai Karamzin spent 12 years writing his famous "History of Russian State". The legend says that Pushkin called the beautiful estate’s park Russian Parnassus, which name later generalized to the whole estate. Not far from the estate Prince Golitsin built an extravagant Church of the Sign of Our Lady in Dubrovitsy, in a picturesque river valley. The baroque style of the Church was not common for Russian Sacred architecture. It is believed to be the only construction supervised by a foreign architect or architects. When the church was built churchmen were dismayed at its odd architecture, so they refused to sanctify it. Thus built by the end of the 17th century the church was not consecrated until 1704. During the Soviet times Peredelkino became a famous writers’ colony. In 1931 Maxim Gorky, who was considered to be a patriarch of Soviet literature, came back from abroad to head the USSR Writers Union that was being established at that time. Stalin apparently asked Maxim Gorky, ‘Where do writers live abroad?’ – ‘They live in country houses, away from city hustle and bustle, comrade Stalin.’ – ‘Do our writers have dachas?’ – ‘No.’ – ‘That’s too bad. Soviet writers should have dachas. Send me a list of 40 to 50 best-deserving names.’ Thus Peredelkino appeared to be a place of summer residence of many prominent Russian writers, such as Ilia Ilf, Isaac Babel, Ilia Erenburg, Boris Pilniak, Vsevolod Ivanov, Alexandr Fadeev, Arseny Tarkovsky, Bulat Okudzhava etc. Boris Pasternak lived and died there, there he has written his famous novel “Dr. Zhivago”. Kornei Tchukovsky also lived in Peredelkino and used to read his tales to children from the villages around. Later on Alexander Solzhenitsyn stayed in Peredelkino at the dacha of Kornei Tchukovsky. The clearest air of the village surrounded by pinewood made the place to be a popular resort. The place was full of children’s campuses and sanatoriums. Also during the soviet period there was a sanatorium for consumptives, but it was destroyed during perestroika. The former estate (now a museum) of the great Russian writer Ivan Turgenev. He spent there his childhood and in the adultery visited the estate to rest from the world. The main house, with its shady park, groves, meadows and steppe surrounding the estate, were commemorated in Turgenev's books and inspired much of his splendid prose, for example The Hunter's Sketches. Here he also wrote his best works, the Fathers and Sons, A Nest of Gentlefolk, and On the Eve. The city, settled in 1246, is located at the Oka River. For the last 8 centuries Tarusa acquired fame of Russian Barbizon. This marvelous place was one of the favorite summer colonies for Russian intellectuals. The left bank of the river is a long ravine with a brook, the slopes of which are scattered with bluebells and strawberries. It was called the Dream Valley by Marina Tsvetaeva, a famous Russian poet who used to live in Tarusa. In Tarusa lived and worked such people as the painter Victor Borisov-Musatov, writer Aleksei Tolstoy, poet and writer Marina Tsvetaeva, her father Ivan Tsvetaev, the founder the Pushkin Art Museum in Moscow, Nobel Prize-nominated writer Konstantin Paustovsky, director Andrey Tarkovsky, and others. Poet Iosif Brodsky was hiding here from the soviet authorities, and Aleksandr Solzhenitsin visited Richter’s dacha there. After the World War II, the town was completely forgotten by Moscow people. It’s not until the set of essays “Letters from Tarusa” by Konstantin Paustovsky was published in the Novy Mir magazine, that the Soviet intellectuals recalled the beauty and simplicity of the place and came back to inhabit it. The city thoroughly preserves the memory of its famous guests and inhabitants. In the museum of Tsvetaevs the personal belongings of the poetess and the interiors in which she spent most of her childhood are saved. Another piece of sightseeing is the house of Paustovsky and his tomb at the city cemetery nearby. Yasnaya Polyana was the estate where the celebrated Russian writer Leo Tolstoy was born, lived most of his life, died and was buried. There he has written his celebrated novels, the War and Peace and Anna Karenina. Immediately after Tolstoy’s death the estate was designated to be his memorial museum. At first it was run by his daughter Alexandra Tolstaya, and until nowadays the directors of the museum have always been his descendants. Thanks to Lenin and his saying that Leo Tolstoy as a mirror of the Russian Revolution, the estate of Yasnaya polyana was fast the only one untouched by the communists. Tolstoy’s house was preserved in the state it had before the writer’s death. Not far from the house there is the grave of the writer unmarked – a raised grassy patch on the edge of a gully. Karelia is the land of breathtaking natural beauty, vast forests, infinite lakes, and cliffs; as well as of wooden churches, horses, and monks. In addition Karelia contains the legendary Valaam monastery. Karelia is situated to the north of St.Petersburg: it stretches along the border with Finland up to the Arctic Circle and abandons with forests, lakes and rivers, including the Ladoga and the Onega - the two largest lakes in Europe. This singular place in the Russian North is truly the land of primordial nature. Take a boat ride in one of the many lakes or rivers, go fishing, rafting, pick berries in the woods or just wander around and enjoy the scenery. Visit Kizhi, the marvel of Karelia, a splendid open air museum of wooden architecture. Take a look at the glorious Valaam monastery situated on an island on the Ladoga Lake. See prehistoric petroglyphs, stone drawings, and seidas, the propped up idols made of stones and boulders, near Kem city. The Mother of all Russian towns, the center of Orthodoxy, home of the Orange Revolution and the capital of Ukraine, Kiev is a surprising bourgeois town, quiet and festive at the same time with a great number of iconic buildings. The Trans-Siberian Railway that links Moscow and Vladivostok is the longest rail line on Earth and the straightest way to explore the incomprehensibly huge Russia. It is worth riding 10,000 km with no apparent purpose but just to experience and enjoy the journey itself. The railroad runs clear across the two continents connecting the European Russia with Siberia and the Far East. A trip on the Trans-Siberian Express offers a wide range of pleasures including the view from a car window providing insights to the vastness of Russia’s open space. One can choose various itineraries: Yekaterinburg, the border town of Europe and Asia and the final abode of the Russian royal dynasty; Novosibirsk, the city of science; Irkutsk, the exile city built by the Decembrists, with the stunning Baikal Lake nearby; or Ulan Ude, the center of Buddhism in Russia; or Vladivostok, the very edge of Russia and of the entire continent. The journey across this half of the world takes almost a week and is memorable in every detail. In Uzbekistan one can find all types of landscapes known to humanity: glaciers, alpine meadows, deserts and steppes. The Golodnaya Steppe contrasts drastically with the Fergana valley filled with blooming flowers. Its delicious food, splendid ancient towns of the Silk Road, famous ceramic and carpentry products makes Uzbekistan is a truly fascinating country. Explore mosques, madrassas and minarets, bargain on local markets, have a taste of the famous Uzbek pilaf. Visit old earthenware city of Khiva, preserved unchanged for two thousand years, and Samarkand, the capital of Tamerlane’s empire with its major historic sights. And last, but not the least, visit an astonishing city of Bukhara that never expanded beyond its original city limits until the beginning of the twentieth century. Uzbek cities are truly historical open air museums filled with human presence and the energy of a real Eastern bazaar. This charming rural town is known for its laces, wooden crafts and, alas, butter but the real gem is its ancient monasteries located nearby. Vologda was founded the same year Moscow was, and was much favored by Russian rulers. With its high concentration of architectural monuments, churches, monasteries, and wooden houses, all perfectly preserved, Vologda is the embodiment of harmony. There are numerous things to see, not to mention the bustling monks. The fifteenth century Assumption Cathedral is a museum that exhibits ancient icons and folk crafts along with wooden architecture from the neighboring villages. The immensely impressive and colorful Kirillov monastery is a true marvel of the city. While in Vologda do not forget about the Ferapontov monastery that hosts the entirely amazing fifteenth century Dionisius icons. Furthermore, the quiet and stately nature of the Russian North fills the hearts of its guests with piece and calmness.